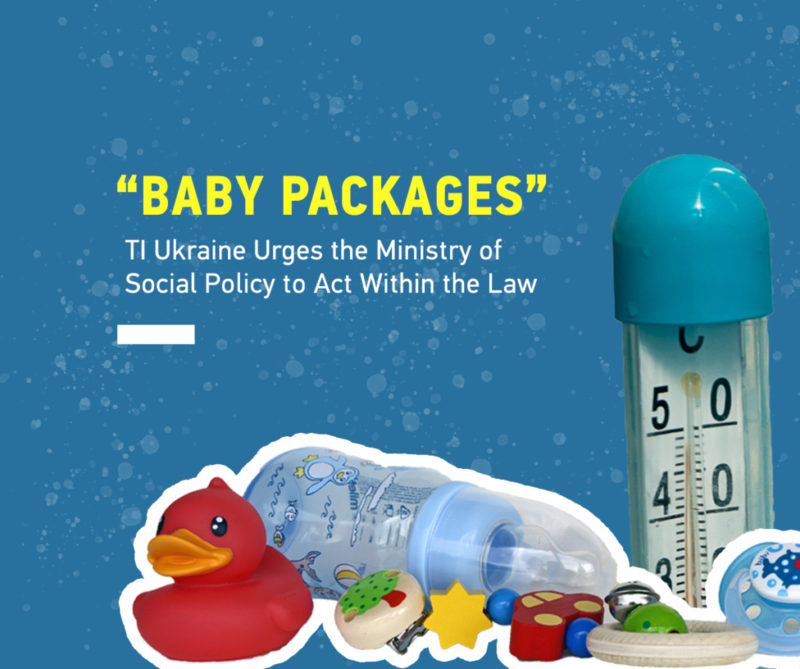 Transparency International Ukraine urges the Ministry of Social Policy of Ukraine to comply with the requirements of the current Ukrainian legislation when they procure goods, works and services concerning “baby packages” – one-time social aid for newborns. To fulfill CMU Directive No. 512 of June 20, 2018, all oblast and Kyiv city state administrations must provide procurement of goods, works and services by September 1, 2018, associated with stocking the “boxes for newborns” (one-time social aid) and their delivery to maternity hospitals and departments of all forms of ownership. On August 2, the team of DOZORRO informed that it had doubts concerning provision of the boxes from September 1. Back then, they already had information that the regions were planning the procurement without using the ProZorro system. Even though, according to public statements of First Deputy Minister of Social Policy Oleksandra Churkina, procurement was supposed to take place as prescribed by the law (youtu.be/s1Vnb0gWMyo?t=961). On August 17, it became known that oblast state administrations faced pressure from the Ministry of Social Policy of Ukraine. Ministry representatives demanded to sign the respective agreements on procurement of the boxes with the United Nations Office for Project Services. The agreement contains controversial conditions. In particular, the part about expenses on project management compensation. It also probably violates the law on public procurement. Transparency International Ukraine approached all oblast state administrations asking to verify the information on signing the agreements. On August 6, TI Ukraine approached the Ministry of Social Policy requesting a comment. However, the response is still to be received, while Ministry representatives are refusing to comment on the situation via a telelphone call. The request was also sent to State Treasury Service, asking to explain how the treasury institutions are going to pay the expenses based on agreements concluded outside the ProZorro system. There is no response as of now. We hope that the meeting will be productive and the procurement of “baby packages” will be publicly explained. We believe that social projects implemented by the government, including “baby packages,” have to be implemented only according to the current legislation.